Professional Carpet Cleaners in St Helens. If you are looking to have your carpet cleaned then you can trust Dirtbusters to get the job done for you in a no-nonsense, professional manner and in no time at all. 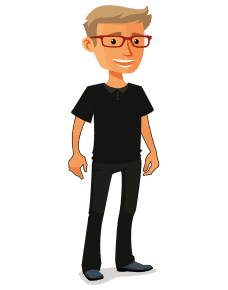 My name is Dave, and I have cleaned acres of carpeting in St Helens and Merseyside since 2008. 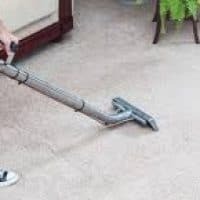 During these years I have invested in all kinds of carpet cleaning wizardry, along with keeping up to date with the latest eco-friendly cleaning agents. All my customers need to do in order to get a great carpet clean is to call me on 01704 863 797 and let me know what rooms need the clean, approx sizes and what particular problems may be lurking within the pile. 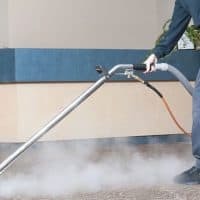 The correct clean will be chosen for you – this may be what is known as a steam clean, or a low moisture clean. My carpet cleaning price includes stain removal, furniture moving, deodourising etc – I never ‘upgrade’ the price as does go on within this industry. I am fully insured, trained and vetted by the Which Trusted Traders. 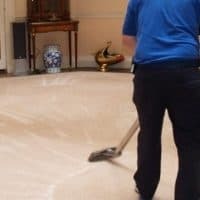 HOW DOES A PROFESSIONAL CARPET CLEAN WORK? Once I arrive at your home I need to figure out what is the best way to get your carpet clean – different carpets need a different approach. All carpet cleans start with a dry vacuum, this gets rid of all the dry contaminant before the deep clean even starts. Whatever carpet cleaning method is used, it will be an environmentally friendly solution that is utilised. If steam cleaning is chosen, all of the yucky stuff from the carpet is rinsed straight out to the machine out in the van. If you have a wool carpet, a stainguard may be of benefit to you. Over the years I have invested in lots of different pieces of carpet cleaning technology. The main system I use is hot water extraction, often referred to as steam cleaning. In brief, this cleaning system uses high pressurised water that flushes the dirt out of the fibres with lots of vacuum. I can also use a low moisture carpet clean, in my opinion, this is more suited to commercial scenarios such as offices. An important part of the Dirtbusters ethos is that only eco friendly carpet cleaning solutions are used – safe for you, your family and pets. Before you decide on a carpet cleaner in St Helens – ask these questions. •Does the cost given include all that may be needed – stain removal, moving furniture, deodourising? • Has the carpet cleaner much experience, or have they just started employ with a franchise? • Do they have references or are they members of an association? • What extraction equipment does the company use, is it a pro set up or a Rug Doctor as an example? So as to offer my clients in St Helens a great carpet clean, I have a van mounted carpet cleaning extraction unit. This has its own water supply, and the waste-water from the clean is collected here. Health clean = healthy carpet. I also cover all of Merseyside, including Liverpool, Southport and I am also a carpet cleaner on The Wirral. I don’t just clean carpets. If you have upholstered furniture that needs a good deep clean then I can help here as well. Fabulous service from Dave as always. My carpet looks brand new. This is the second time I have used Dirtbusters - Thanks for a great job again. Thanks to Dave for the clean he did for my Dad in his sheltered housing. Made up and will recommend.